Dr. Condon earned a B.S. in Microbiology from Memphis State University after three years services in the United States Army. He earned his Medical Degree from the University of Tennessee. Dr Condon completed a medical internship and a neurology residency with the University of Tennessee and was an EEG fellow with Baptist Memorial Hospital. After completing his education, he worked at the Epilepsy and Electrocorticography Program at EpiCare Center. Additionally, Dr. Condon gained fifteen years experience in private neurology practice before joining Wesley Neurology Clinic in 2005. 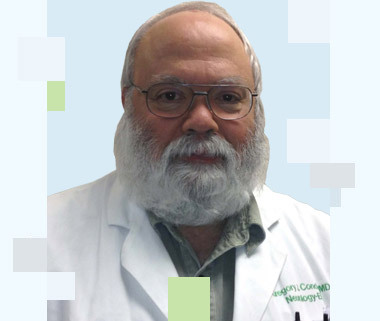 Dr. Condon’s research interests include Wernicke’s disease, epilepsy, EEG, and migraine. He has been an invited lecturer at the University of Tennessee, Baptist Memorial Hospital, and the NATO Meeting on Frontal Lobe Epilepsies. Dr. Condon is certified by the National Board of Medical Examiners in Neurology and the American Society of Neuroimaging.